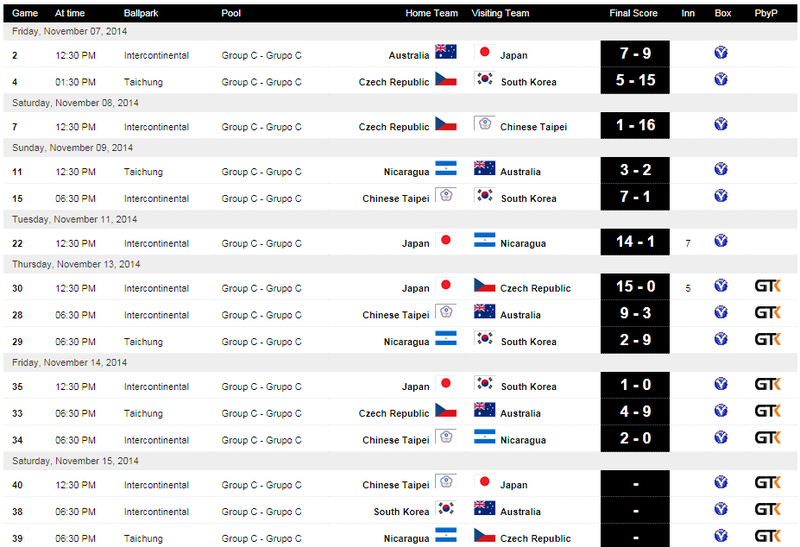 TAICHUNG, Taiwan – Rivals Japan and South Korea were locked in an intense pitcher’s duel Friday, with Japan earning a shutout victory in the Super Round Robin match-up – the semifinal stage -- of the inaugural 21U Baseball World Cup. The nail-biting victory over South Korea at Intercontinental Stadium guarantees Samurai Japan a place in Sunday’s gold medal finale. 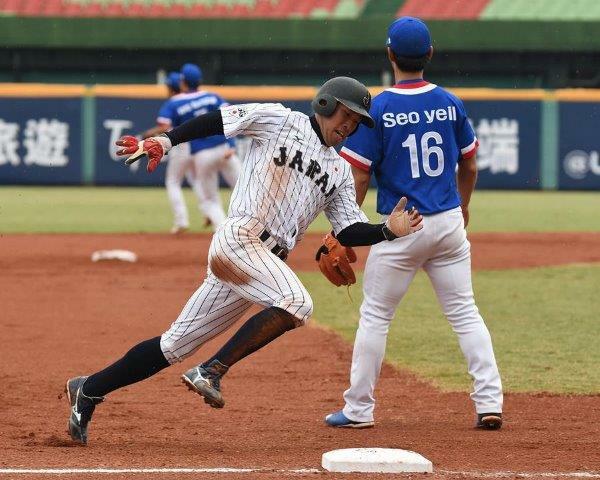 Guaranteed at least a silver medal, Japan will move atop the Official IBAF World Rankings to become only the third nation to hold the honour of being the world’s top baseball nation. Japan National Team starter Naoyuki Uwasawa, who plays for Hokkaido Nippon Ham in the Nippon Professional Baseball (NPB), put in a dazzling performance for his country, registering 12 strikeouts over seven innings en route to earning the shutout victory – Uwasawa’s second 21U Baseball World Cup victory. South Korea’s lefty pitcher, Kijun Lim, was equally impressive, keeping the Samurai hitless into the fifth inning, before Japan used a slap hit-and-run to bust up the no-hitter and put runners on the corners for Kengo Takeda (NPB’s Orix Buffaloes), who promptly brought home the only run of the game by way of a sharp one-hop liner that sizzled by the glove of the shortstop. 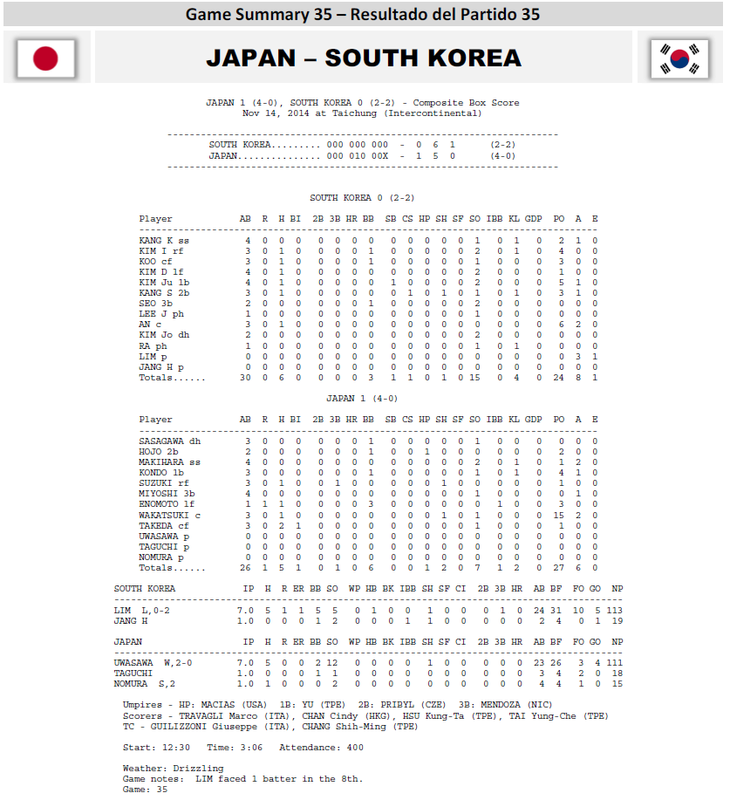 Lim was tagged with the loss, his second of the world championship, while only allowing the potent Japanese offense five hits through seven complete innings of work. Japan will take on Chinese Taipei on Saturday at 12:30 p.m. to conclude the Super Round Robin stage ahead of Sunday’s world championship final. A total of 11 National Teams is participating in the first ever Baseball World Cup for players 21 years of age or younger. The 21U showcase features players representing their countries from top professional leagues, such as the Australian Baseball League (ABL), Chinese Professional Baseball League (CPBL), Korea Baseball Organization (KBO), Mexican Baseball League (LMB) and NPB.